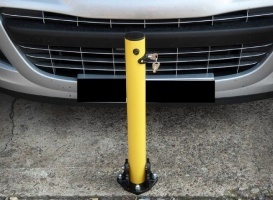 New Bollards Limited, fold down locking bollards or fold down security posts are ideal for protecting private parking bays and securing driveways and other locations where a smaller post is required. Fold down posts can be locked in the raised and lowered position. 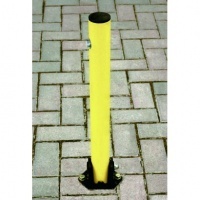 New Bollards Limited galvanised steel fold down post with a 620mm height above ground and features a 64mm diameter. Rhino RTKEY OP1 galvanised round steel fold down post with a 650mm height above ground and features a 60mm diameter.